Not many scholars have wines named after them but apparently Professor Li Hua of Northwest A&F University in Shaanxi Province is in those ranks. 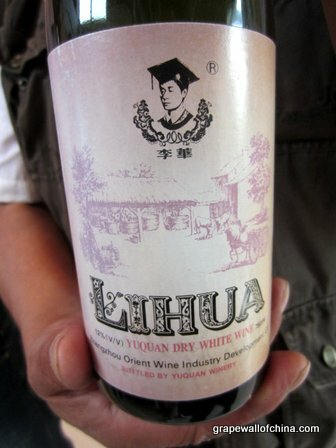 This bottle was spotted in a collection at Helan Qing Xue in Ningxia and said to not only date from the early 1990s but also be named after Hua, who has been in China’s wine industry for some 30 years. More proof of the close link between wine and education. The Spain drain: Is China at threat from cheap European wine imports?